Curler Lloyd Campbell has celebrated many accomplishments, both on and off the ice, but the biggest one yet happened on Sun. 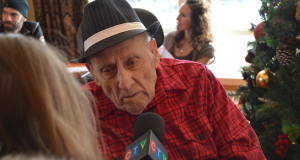 Jan. 4, when the family and friends of this Saskatchewan curling legend gathered to celebrate his 100th birthday. The numbers tell only part of the story: 10 curlers on the ice at the Coldwater & District Curling Club playing 288 ends in just over 80 hours, raising money for local charities and setting the (as yet unofficial) Guinness World Record for longest curling game. Calgary’s Glencoe Club and National Training Centre (NTC) know how to get into the holiday spirit: the Super Spare Silent Auction, now in its fourth year, raises money to support a local shelter for homeless and runaway youth. How? 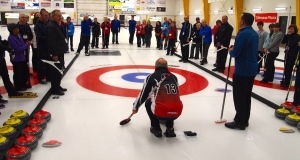 By auctioning off the services of high-performance curlers to The Glencoe’s curling members. Sometimes in sports we look at our most successful athletes as the true heroes. We say that the athletes standing atop the Olympic podium will go down in sporting history, and it’s true, they will. We too often forget about that team behind the scenes. We forget that the most crucial part of a team doesn’t get to stand atop the Olympic podium. 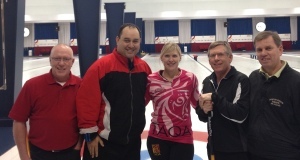 Dr. Brian Dalrymple has been sponsoring the Rocks & Rings program in Oromocto, N.B., for the past three years. 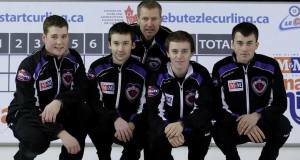 Each fall, he “adopts” local schools in order to bring curling awareness to local elementary students. 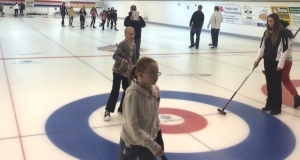 The Gage Golf & Country Club is using the Rocks & Rings program as a marketing tool for their curling club and especially for their Little Rocks program: they’ve taken the kids from the gym to the curling rink. 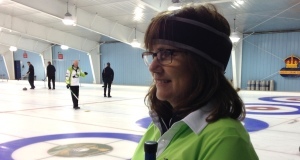 The Ottawa Valley Curling Association has found a way to improve its already successful Getting Started in Curling for Adults program: they’re not just training new curlers, they’re training the trainers, too. When you’re a curling club in a small community far from larger centres, it can be a challenge to keep the sheets full and members happy. 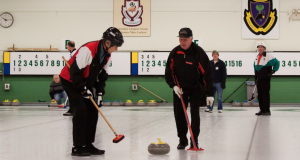 But the Blind River Curling Club hasn’t let its relatively small size get in the way of providing successful leagues and activities for curlers of all ages and levels. 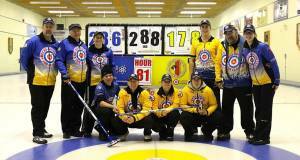 Inside Junior Curling: School comes first! 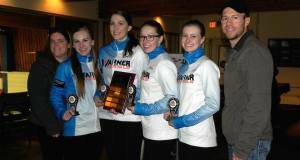 One of the most common traits you’ll find in junior curlers across Canada and even internationally is the fact that most of these athletes are not simply athletes, but student athletes. In 2011, a recreational curler at the Calgary Winter Club fell during her weekly league game and hit her head on the ice. Her life changed that day. 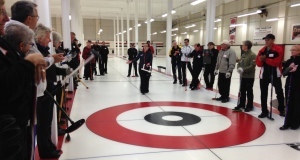 Social and super-fun, curling is a great activity for corporate team-building or seasonal office parties. You can simplify things for groups made up of mostly beginners so that the learning process is fun for all ability levels. 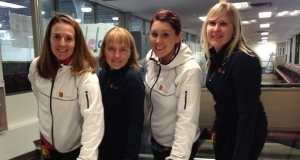 Dedicated curlers know that curling is a sport for life. Thanks to innovations in equipment (think Little Rocks and delivery sticks, for example) participants of practically any age or level of physical ability can take to the ice – and stay there. Coaching and skills instruction can benefit more than just elite curlers, a trend the Alberta Rocks Curling Camp proved with great success recently when it welcomed over 60 adult recreational club curlers looking for instruction on how to improve their curling delivery, sweeping, strategy and mental game play. 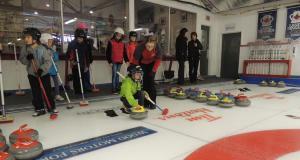 On September 27, over 50 curlers had a chance to get up close and personal with Heather Nedohin and some curling “friends” at the Sherwood Park Curling Club, kicking off the new season – and Nedohin’s new role as the club’s Curling Pro and Manager – with camps for both juniors and adults. Curling camp is just for kids and junior curlers, right? Wrong!